We have information you must know before you buy the Expedition. The carryover 2019 Expedition continues flowing into dealers nationwide. Two new trim packages are available, the black-themed Stealth Edition and western-style Texas Edition. The 2018 Expedition has sold out. The base XLT and mid-range Limited are easiest to find and most likely to be discounted. Locating the line-topping Platinum might take some effort. Extended-length Expedition Max comes in the same three trim levels. (The XL trim is for fleets only). Production of the carryover 2020 Expedition is slated to begin in October. Current factory offers vary by region and are scheduled to expire April 1, 2019 unless otherwise noted. Examples shown here are for California. Every 2019 Expedition now comes with a $2,250 factory rebate for all buyers. In addition, there's a $500 Select Inventory bonus on models in stock longer than 60 days. Buyers who finance through Ford at standard rates will also receive a $1,250 finance bonus. On top of everything else, buyers with a vehicle to trade will get a $2,000 trade-in bonus. That brings your potential savings to $6,000, the most we've ever seen on the current generation Expedition. You can lease a 2019 Expedition XLT 4x2 starting at $529 for 36 months (10,500 miles a year) with $6,529 due at signing. The effective monthly cost is $710, a good value for a vehicle priced just under $60,000. This offer reflects a Select Inventory bonus of $250, the standard amount on nearly all Ford leases this month. The cash at signing will be $250 higher on non-qualifying vehicles. In place of the standard rebate on a 2019 Expedition, Ford offers 0% financing for 60 months, or 1.9% for 72 months, on Select Inventory (vehicles in stock longer than 60 days). Rates on non-qualifying models range from 0% for 48 months to 2.9% for 72 months. These offers come with the $1,250 finance bonus, and you remain eligible for the $2,000 trade-in bonus. After a full redesign last year, the Ford Expedition stormed onto the scene to battle the likes of Chevrolet’s Suburban and Tahoe. Thanks to a competent powertrain and an elegant cabin, it won widespread acclaim. The 2019 Ford Expedition is back with minimal changes, and it’s still a class leader among the biggest of the big. 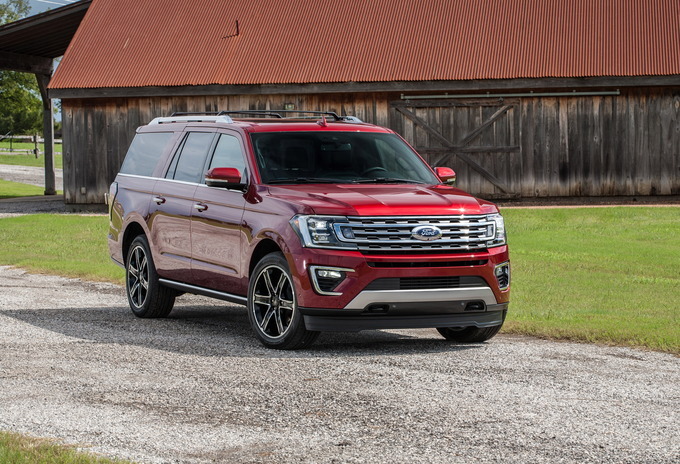 Aside from a new appearance package and a few feature-set tweaks, the Expedition sees no major changes for 2019. At the heart of the Expedition is Ford’s new 3.5-liter V6 engine paired to a 10-speed automatic transmission. With 375 horsepower and 480 pound-feet of torque, the combination will tow an impressive 9,300 pounds. Rear-wheel drive is standard, but all-wheel drive is available on all models. The EPA estimates fuel economy at 17 miles per gallon city, 24 mpg highway, and 20 combined for RWD models. Opting for AWD drops those numbers to 17/22/19 mpg (city/highway/combined). That’s not exceptional by most standards, but it’s fairly good among large SUVs. The Expedition is also available in long-wheelbase form, which Ford calls the Expedition MAX. The MAX extends the Expedition by a foot or so and expands cargo space behind the third row from 20.9 cubic feet to 36.0. With all the seats down, the Expedition MAX can hold an airy 121.5 cubic feet of luggage. Fuel economy goes in the other direction: the MAX gets 17/23/19 mpg with RWD and just 16/21/18 mpg with AWD. All models are outfitted with seating for eight, along with a strong set of technology features. An eight-inch infotainment touchscreen runs Ford’s Sync 3 interface and is compatible with both Apple CarPlay and Android Auto. The first two rows get two USB ports each, and an in-car WiFi hotspot is available. Starting at $53,525 (all prices include the $1,395 destination charge), the Expedition XLT is the cheapest way into the lineup. Upgrading to a MAX will add $2,685, and all-wheel drive is an extra $3,010. Standard features start with 18-inch alloy wheels, roof racks, a rear parking sensor, and heated and powered side mirrors. The interior sees a power-adjustable driver’s seat, three-zone automatic climate control, push-button start, a leather-wrapped steering wheel, and a power-folding third row. Ford offers several packages on the XLT trim. The 201A bundle ($1,485) adds faux-leather seats and a power-adjustable front passenger seat. The 202A ($5,605) adds a 4G LTE hotspot, third-row USB ports, wireless charging, a hands-free liftgate, blind-spot and trailer-tow monitors, power-folding side mirrors, keyless entry, remote start, heated and ventilated front seats, and a heated steering wheel. A Driver Assistance Package ($715) requires that group 202A be selected but includes adaptive cruise control, collision assist with pedestrian detection, lane keeping assist, rain-sensing wipers, and automatic high beams. The Heavy-Duty Trailer Tow Package ($1,570) prepares the Expedition for hitch duty, and the FX4 Off-road Package ($1,650) beefs up the wheels, shocks, body, and differential for better adventure capability. With group 201A selected, a panoramic sunroof is available for $1,475. With 202A, in-screen navigation is an option for $740. Occupying the Goldilocks position is the Expedition Limited, with a starting price of $64,410. The MAX adds $2,690 and all-wheel drive $3,125. All the features from the XLT’s 202A bundle are standard here, along with leather upholstery, a heated second row, heated and ventilated front seats, and a premium 12-speaker sound system. The exterior gets 20-inch wheels, front parking sensors, and retractable running boards. The Limited trim unlocks quite a few new packages, which can get a little confusing. First up are the equipment groups, starting with 301A ($3,030), which includes the panoramic sunroof and adaptive cruise control. Group 301A also unlocks a Special Edition Package ($3,955), which adds 22-inch wheels, a surround-view camera, cargo organization, the trailer-tow pack, parking assist, and full LED headlights. The 302A group ($6,440) includes all the features of the Special Edition Package minus the cargo and trailer packages. Finally, group 303A ($7,540) includes all the features of 301A and the Special Edition Package, plus all the safety features in the Driver Assistance Package. The Driver Assistance Package (along with the Trailer Tow Package) is still available on its own. Joining it are two new packages. The Texas Edition Package ($3,955) is essentially the Special Edition Package with extra Texas badging, and the Convenience Package ($2,070) requires group 303A but adds a cargo manager, the Trailer Tow Package, inflatable rear seat belts, and black roof crossbars. LED headlights are available as a standalone option for $740 along with the panoramic sunroof ($1,475). Second-row bucket seats and navigation are both another $740, and Ford will bolt in a headrest-mounted rear entertainment system for $1,995. Approaching the luxury status of its sibling Lincoln Navigator, the Expedition Platinum starts at $74,760. A Platinum MAX is another $2,675, and all-wheel drive is $3,150. Many features are standard here, including the panoramic sunroof, the LED headlights, adaptive cruise control, and all features from the Special Edition and Driver Assistance Packages. The front seats are heated, ventilated, and massage-capable, and the outboard second-row seats are also heated. Wood interior accents join leather door trim and active noise cancellation. As a final bonus, the engine gets tuned up to produce an extra 25 horsepower. At this trim, everything is standard except the Trailer Tow Package and the second-row bucket seats, which remain $1,570 and $740, respectively. 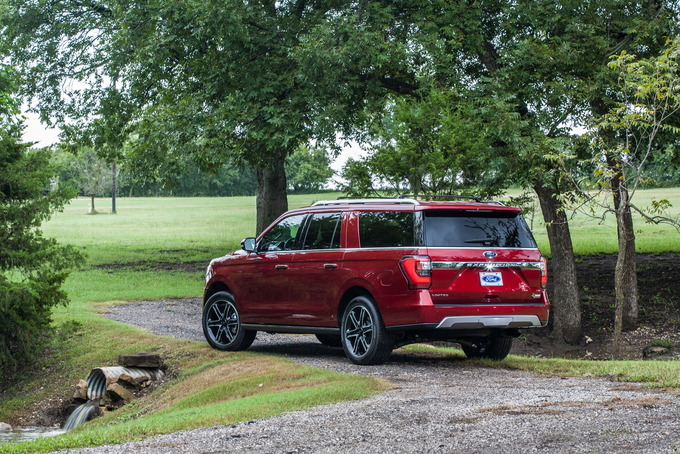 For buyers tempted by the 2019 Ford Expedition Platinum trim, we recommend just bumping up to the Lincoln Navigator instead. Otherwise, stick to the Limited trim – it’s well equipped from the get-go and offers extensive customization. 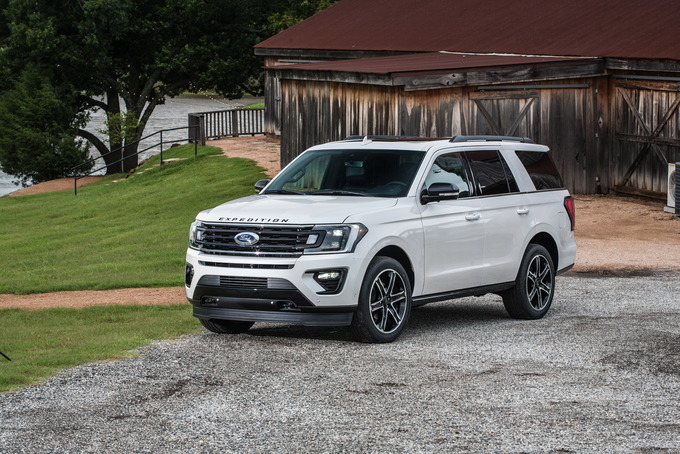 The 2019 Ford Expedition is the modern big-bodied SUV we love. It comes with a vast interior, offers swift acceleration, and supplies very good ride and handling for its size. Its size means it's difficult to park and its sticker price rivals that of some pricey European models. 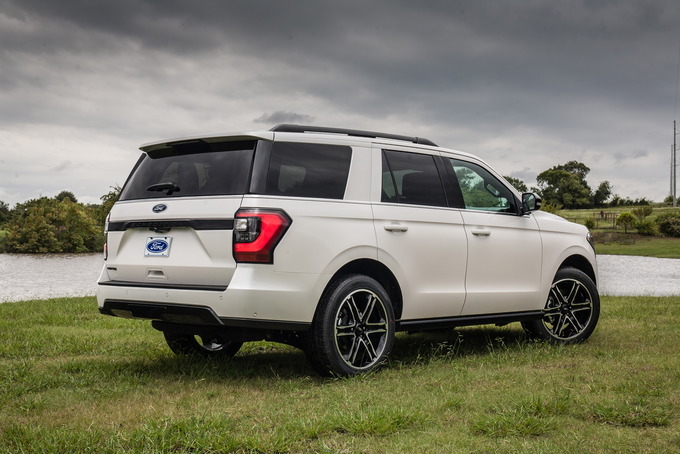 Ford offers a choice of standard and extended wheelbase models, the latter marketed as the Expedition MAX and with nearly a foot more space between the axles. This SUV comes with standard rear-wheel drive and available four-wheel drive. 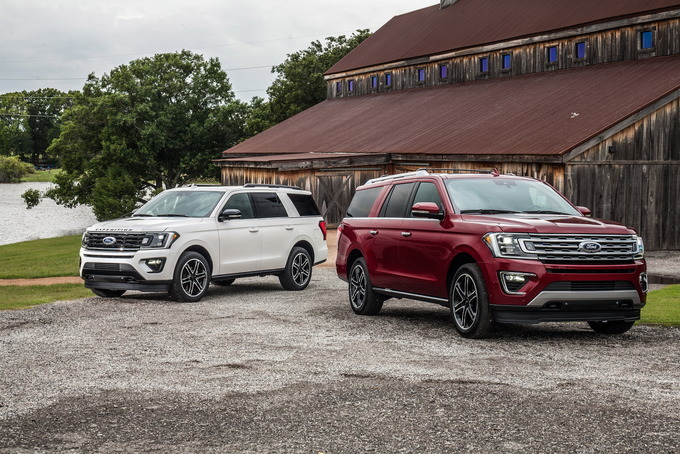 Ford offers both versions of the 2019 Expedition in XLT, Limited, and Platinum trims. Our pick begins with the MAX, simply because the extra 15 cubic feet of cargo space comes in handy. We like the Limited edition as it builds on the standard trim with its fog lights, cloth seats, base infotainment package, and basic safety and security package. The Limited edition includes an enhanced security package, 20-inch dark-painted wheels, a hands-free foot-activated liftgate, leather seats, heated and ventilated front row seats, heated second-row outboard seats, dual-zone climate control, SYNC3 infotainment, and wireless charging. You get one powertrain choice with the 2019 Expedition and it's a superior one. Under the hood is a twin-turbocharged 3.5-liter V6 engine with 375 horsepower and 470 pound-feet of torque. Platinum models benefit from special tweaking to deliver 400 horsepower and 480 pound-feet of torque. Regardless, this SUV delivers ample performance and works with a smooth-shifting 10-speed automatic transmission. Ford’s enhanced V6 offers more power than most V8s and is marketed under the company’s EcoBoost umbrella. Power delivery is immediate, thanks to the twin-turbo arrangement, which quickly moves this big SUV up to highway speeds. The ride is very comfortable and steering is light to the touch. The expected body roll is very much present, but we’ve seen more in some competing rides. The Ford Expedition was redesigned in 2018 and shares its platform with the widely popular F-150 pickup truck. There are some similarities between the two, including an aluminum-intensive body. Still, there are enough differences between the two, including a slab body on the Expedition that combines retro and cutting-edge elements all the same. The C-shaped headlights are unique to this model and are its softer grille. 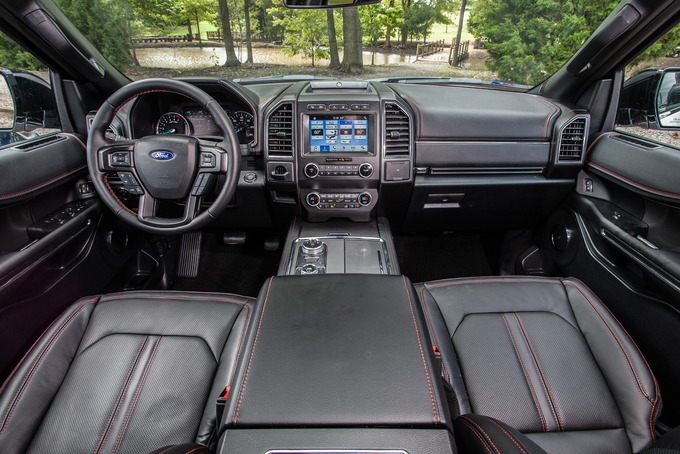 Inside, the cabin mirrors that of the F-150 in some respects, but with a better fitting dashboard. The center console design is unique to the Expedition and is dominated by a rotary shifter as well as shift-on-the-fly controls for four-wheel-drive models. The most striking separation is on the Platinum models, which seem to steal a bit more from its Lincoln stablemate with its fine woods, beautiful leather, and brushed aluminum trim. There are a number of very positive elements of the Ford Expedition, but we’ll stress its maximum 9,300-pound towing capacity as one of its top features. It doesn’t match the level of most pickup trucks, but it delivers more than the amount of trailering assistance some competing models offer. If there's a downside to the Expedition it'd have everything to do with pricing. Just like that, you may find yourself paying more than $80,000 for one, if you’re not careful. Expedition fans and anyone interested in a full-bodied SUV will be attracted to this model. Its bigly design remains true to the product line and its available tech features will have you coming back for more. On the other hand, this SUV may be too big for some buyers who expect something more manageable. Fortunately, the Ford Explorer may be more to some shopper’s liking, as it's a three-row model with room for seven. 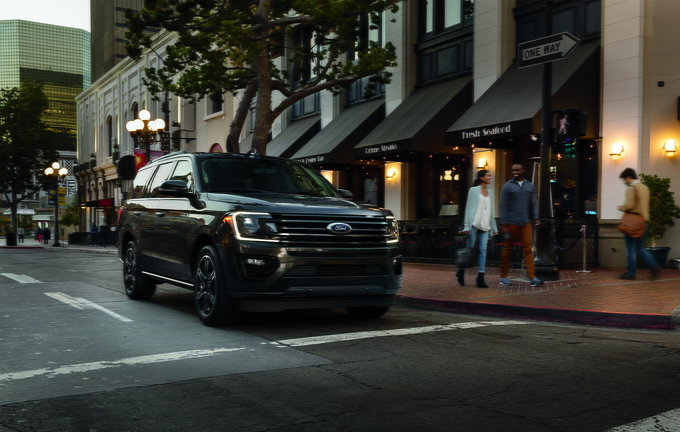 The 2019 Ford Expedition targets a narrow segment and does so with class and distinction. With its twin-turbocharged V6 engine, it sets a new benchmark for the segment, despite easily being outsold by the Chevrolet Suburban. We have partnered with trusted dealers in your area to give you a great price on the new Ford Expedition.